With the recent controversies around Shadow of War and Battlefront II, the role of microtransactions in the video game industry has once again brought itself to the spotlight. This has been further highlighted by the patent granted to Activision on October 17th, which the publisher filed for back in 2015. Activision’s patent suggests a model that utilizes matchmaking to encourage players to make in-game purchases. One example which was detailed in the patent is the possibility for each player to have a specific profile assigned to them, storing stats such as their playstyle and most commonly used weapons. The matchmaking system can then use this to ensure that each player is sorted into a game on a map that suits their playstyle, encouraging them to further develop this style and invest into weapons or upgrades, purchasable through real-world money, that can enhance their ability. Similarly, a low-level player who commonly uses a sniper class could be intentionally sorted into a game with a high-level player who is very effective with the sniper class and uses a weapon that can be earned via microtransaction. The low-level player will then want to emulate the high-level player, purchasing the same weapon through in-game microtransactions. How well this concept works in practice is yet to be seen, as Activision has stated that it has not yet released a game with this method included. While this is likely true, it's also a distinct possibility that we wouldn't know that this system had been implemented unless we were told that it was. Microtransactions, Loot boxes, and More! So let’s have a look at a few examples of the current state of microtransactions in games, as well as their partner-in-crime, loot boxes. Take this first example with a grain of salt, as it is mostly based on rumors and we likely will never know the full story. On October 18, 2017, Electronic Arts shut down Visceral Games with immediate effect. This came as a shock to many people considering the developer’s pedigree, particularly with single-player action games such as the Dead Space series. The key word here is single-player. The marquee game currently in development at the studio at the time of closing was an unnamed Star Wars project, pioneered by Amy Hennig, former lead on the Uncharted series. While the only part of the game to be shown was a sub-30 second teaser trailer with no gameplay, it had been heavily assumed and suggested that the game would be a single-player action experience, building on Visceral’s specialty and taking inspiration from Amy Hennig’s previous work with Uncharted. 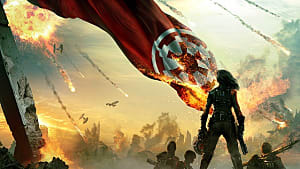 The project also continued on from some of the work completed on the previously-canned Star Wars 1313 project, another game that was heavily anticipated with a tumultuous development cycle. 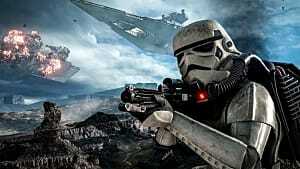 However, the Visceral Star Wars game did not fit into EA’s new vision of games-as-services. So if Visceral couldn’t make a Star Wars game that could work in EA’s microtransactions, then someone else would have to do it. Upon the termination of the studio, the project has been moved over to EA Worldwide Studios. 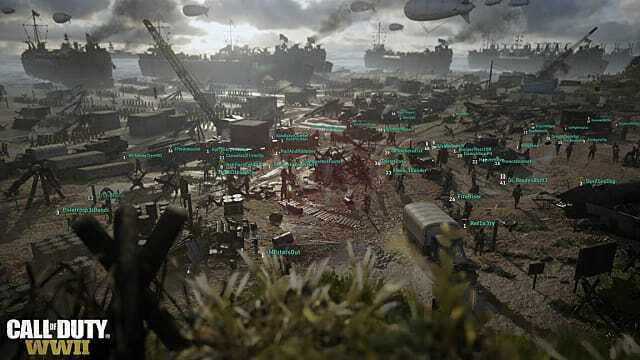 This is a group of EA’s best developers, who said in their mission statement from the CEO of EA, Andrew Wilson, that they were focused on games “in a networked environment”. Here's hoping that talented creators such as Jade Raymond, who left her position as managing director of Ubisoft Toronto to oversee Visceral, and Kim Swift, design director of the game and formerly lead designer of Portal, can be included in this next venture. Elsewhere in the Star Wars/EA universe, the internet has been set further ablaze by the recent release of Star Wars Battlefront II. To sum up the economy of the game, the purchasable loot boxes can provide the player with in-game credits and ‘Star Cards’. These Star Cards provide boosts to your character in multiplayer, allowing the player to get an advantage over their enemies. Star Cards are also available through traditional progression, which is always the excuse of the publisher despite however much of an advantage spending money provides to players. 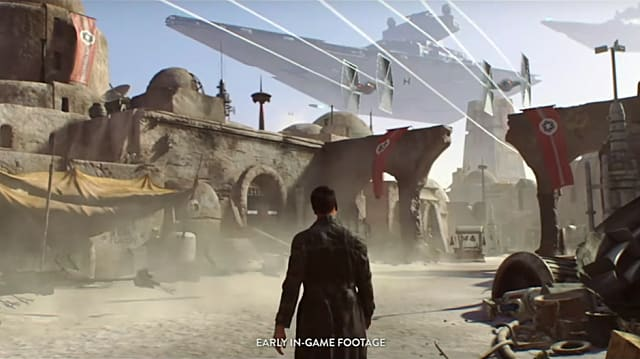 Many gamers would have been outraged about this, if not for the even greater blunder of withholding the ability to play as major Star Wars characters behind either a paywall or tens of hours of progression. Just think about that for a second, EA made it extremely difficult to play as Luke Skywalker and Darth Vader in a Star Wars game. That’s half the reason why people play Star Wars games to begin with. 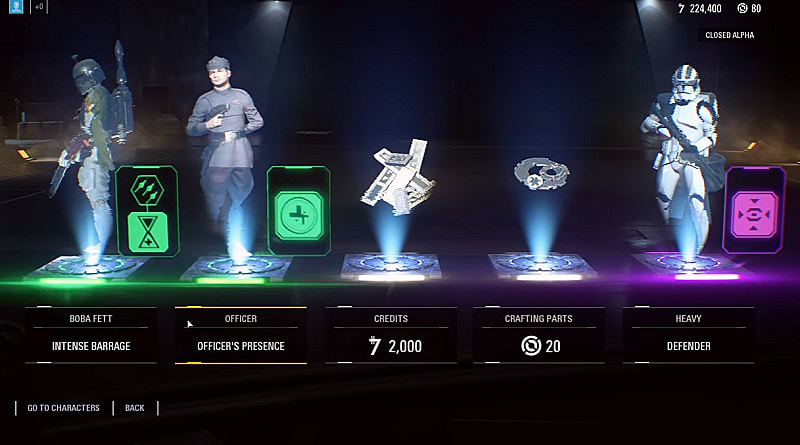 The in-game credits that can be found in loot boxes are used to unlock characters to play as in the multiplayer modes, and can also be earned at an incredibly slow-rate through regular game progression. 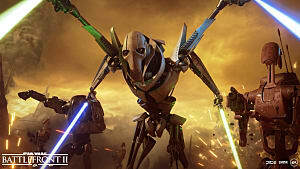 Following fans discovering this, EA responded by reducing the credits needed to unlock these characters by 75%. 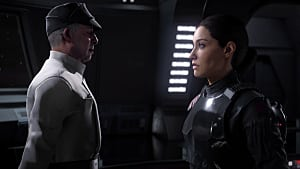 Player outrage still refused to cease, culminating in a response from the EA Community Team to a Reddit post complaining about the state of the game and the difficulty in gaining access to classic Star Wars characters. 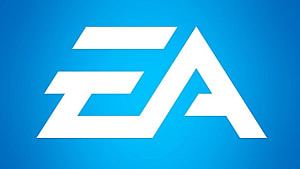 That response from EA, which claimed that they wanted to “provide players with a sense of pride and accomplishment for unlocking different heroes”, has now become the most downvoted comment ever on the platform, sporting over -675,000 points at the time of writing. EA has since put out a public statement explaining their decision to temporarily remove in-game purchases from Battlefront II, while keeping their guise as an evil corporation up by stating to investors that this action will not significantly affect the game’s profits. Either the company is just trying to save face with investors through this statement, or EA is just so greedy that they are willing to knowingly lower the enjoyment of the game just for a small cash bonus that is not significant to them. Battlefront II showed promise at E3 by claiming to be fulfilling players' wishes with the inclusion of a single-player campaign --which is only ~4 hours long and very half-baked-- but has merely become what players least wanted from one of the most hailed IP in all media. Moving on from the Star Wars property, NBA 2K18 has received massive amounts of criticism due to its heavy inclusion of microtransactions throughout the entirety of the game. Take-Two Interactive have a clear history of success with microtransactions in games, proven by Grand Theft Auto V's Grand Theft Auto Online mode. The Rockstar-developed game had a player count of over 1.5 million in just the last two weeks on Steam, according to SteamSpy. To still have this amount of players over 4 years after the release of the game shows how effective games-as-services can be at keeping players interested, and the ability of Rockstar to still be releasing completely free expansions to the online game suggests that they are still making a significant amount of money from the online player-base. So why not transfer these successful practices to Take-Two’s other franchises? That was apparently the thinking behind the production of NBA 2K18, leading to the inclusion of an abundance of in-game purchases. You cannot take two clicks through the menus without the advertisement of ‘VC’, the lazily-named virtual currency, being thrown in your face. Progress in the game is slowed to the point that purchasing VC is almost necessary to find the developer’s intended user experience. 2K claims that the in-game purchases only speed up the game’s progression, but what kind of message does it send that the publishers of the game offer you the ability to pay so that you can play less of it? WWE 2K18, another 2K-published game, also has the same over-saturation of loot boxes that can be found in NBA. 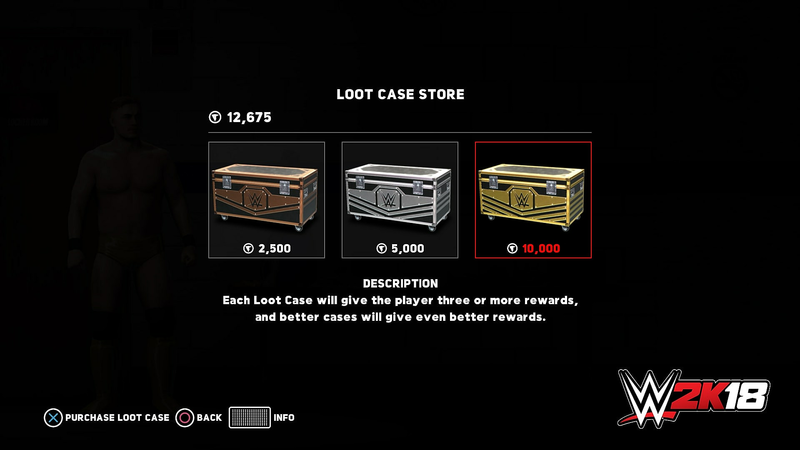 However, the interesting twist in the case of WWE is that the game has a clear environment designed to involve microtransactions, yet does not feature any form of in-game purchasing, excluding the usual DLC that comes every year. Many have speculated that the game will receive an update to make the loot boxes purchasable throughout the year or in next year’s entry, but the Yuke’s-developed game has been left in a form of limbo, both being slowed down and restricted by the introduction of loot boxes, yet not having any way for the player to take advantage of the implemented loot box system, even by providing money to the creators of the game. 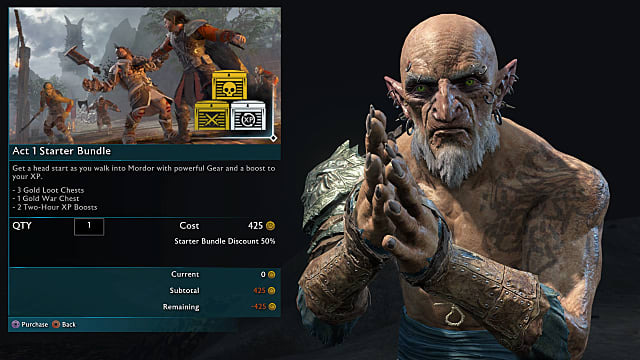 Similar to the inclusion of NBA 2K18’s multitude of microtransactions that aim to “fast-forward your progress”, Warner Bros’ recently released Middle Earth: Shadow of War, a single-player Western RPG, has purchasable Loot Chests and War Chests that yield in-game items. Monolith Productions, the developers of Shadow of War, claim that in-game balancing was completed without the use of any purchasable chests. 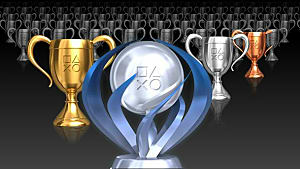 However, multiple reports from players of the game have stated that Act 4, which is essentially post-game content, presents an insane skill gap from the rest of the game, and requires hours of grinding to reach the required levels, all for a single cutscene that reveals the true ending of the game. So it seems somewhat convenient that players looking for the true ending of the game can skip the excessive amounts that the game forces you to play by just purchasing loot chests. To be fair, there are plenty of games whose post-game is extremely grind intensive. Final Fantasy XIII's post game comes to mind almost immediately, but FFXIII didn't have microtransactions. But in this modern era, it's hard not to feel cynical about a game that has such a significant post-game grind when it already costs $60 (£55) and features microtransactions despite being almost exclusively a single player experience. I can't help but feel that if Shadow of War did not have any form of microtransaction included, Act 4 of the game would either be nowhere to be seen or would be so radically different that it would not require such a grind for the player to finish. Bringing the conversation back around to Activision, the recently released Call of Duty: WWII unsurprisingly has its own form of loot boxes. 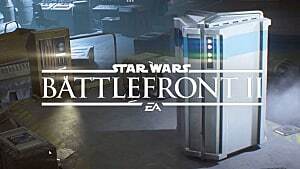 The franchise has commonly featured loot boxes throughout the last few entries, and not much has changed in terms of the form that the boxes take in the latest release. The change that is significant in this year’s release is the introduction of a new hub area, known appropriately as the Headquarters. Headquarters is a non-PvP area that allows players to gather and socialise in between matches, much akin to the Tower in Destiny. This new feature has brought about a rare innovation in the loot box system, which brings with it both positives and negatives. 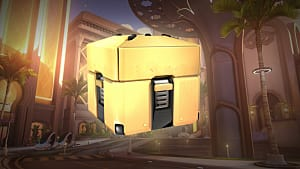 Essentially, when a player purchases a loot box in the Headquarters, a literal loot box lands and the player can open it and see what they receive. The key to this is that it drops in the socialising area, meaning that any players around the area at the time can also watch and enjoy the opening together. While I do applaud this implementation as it brings more entertainment to the overall experience of opening loot boxes and presents them in a way that can make them feel as if they are a part of the game rather than an unnecessary add-on, the ability to view other openings in-game is a clear ploy to tempt more players into making in-game purchases. There is nothing stopping Activision exploiting this in opaque manners, through methods such as bots in-game who sit in the Headquarters area and occasionally open loot boxes around players, or increasing the odds of receiving rarer items when a player has more viewers watching their opening. The worrying part of this is the fact that loot boxes are becoming more and more entrenched as actual features of games, infecting them in a way that cannot be simply removed by removing the ability to make purchases in-game. 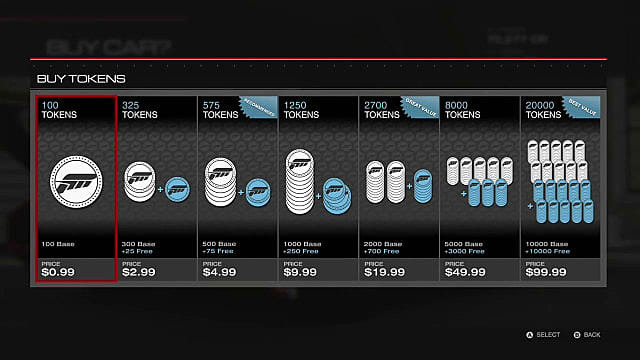 Progression in many franchises is now built with microtransactions in mind, becoming a key factor in the production of games. The further publishers delve into this trend, the less willing they will be to not only give up on possible free income from customers, but also to spend money restructuring their games to be based around natural in-game progression without any extenuating factors. Because of this we, as an industry, need to have a discussion about the morals and ethics of in-game purchases. Many questions need to be asked about the subject: Do they have a place in Free-to-Play games vs full-priced games? Are they okay if they’re only cosmetic? Should they be allowed in games aimed at children? The outrage culture on the internet has begun their discussion, as usual. In the UK a petition against microtransactions has garnered over 10,000 signatures, requiring the UK government to respond. In the past, the video game industry has avoided the involvement of governments in the management of games through self-policing boards such as PEGI and the ESRB. Groups such as these ensure games are created and sold ethically and morally, removing the need for situations like Australia, where games such as Saint’s Row IV and South Park: The Stick of Truth have previously been banned for their "maturity", or lack thereof. It is likely that the government response to the petition will simply be a blanket statement that does not really address the issue, similar to the majority of online petitions that reach that threshold. However, government action is being considered in other locations, specifically Belgium and the state of Hawaii. The State Representative of Hawaii, Chris Lee, has announced an investigation into the practices of publishers who include microtransactions in their games, and whether or not they cross the line of gambling. Surprisingly for a government representative, Lee seemed very knowledgeable on the subject, describing Battlefront II as a "Star Wars-themed online casino designed to lure kids into spending money." The gambling authority of Belgium took less than a week to complete their investigation and the result was resounding - microtransactions are a dangerous form of gambling. Following the investigation, the Belgian Minister of Justice stated that "mixing gambling and gaming, especially at a young age, is dangerous for the mental health of the child." Belgium has now begun the process of executing a total ban on microtransactions in the country through European Union rules. If these two actions have a knock-on effect to the rest of America and the EU, we could be seeing a major shift throughout the industry in the next few years. As for now, in the moment, what can you and I do? Well, we can sit and play our games as normal and hope this all blows over in a couple years, but realistically that isn’t going to happen. We need to make ourselves heard. We need to continue to let our opinions and vocies be heard on Twitter and Reddit, but we also need to speak their language. Not morals and ethics, but money. Looking for a third-person open-world adventure game to play? Forget Shadow of War and pick up Horizon: Zero Dawn in order to play one of the best games of the year, whilst also going against microtransactions and supporting new IP. Instead of buying a loot box in an AAA game, pick up a Mike Bithell-developed game in a sale, and enjoy an innovative experience, while supporting indie developers, the real source of progression in our industry. Enjoy quality games, find new experiences, and vote with your wallet.